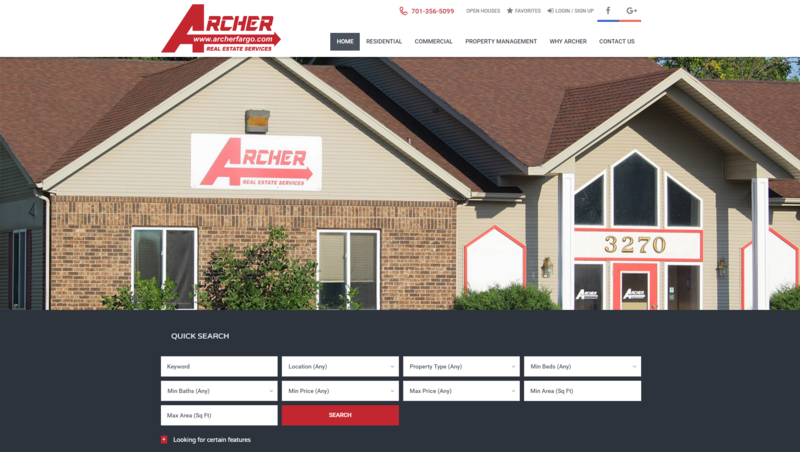 Archer Real Estate came to BND in need of an updated website to provide information about available properties across North Dakota and Minnesota and South Dakota. 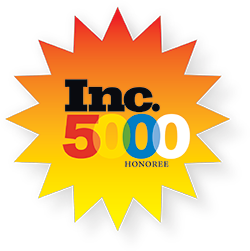 BNG Design helped Archer create a custom website using WordPress with a large portfolio, and comprehensive SEO. 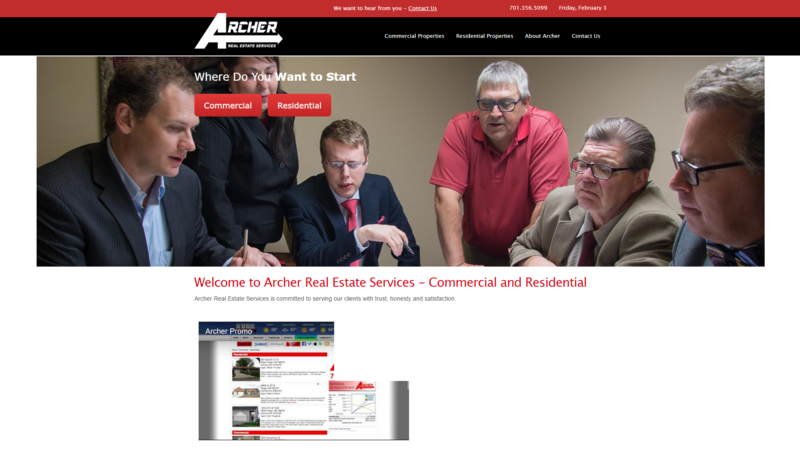 Archer Real Estate Services began doing business in Commercial Real Estate and has since expanded into a full service Realty Company.